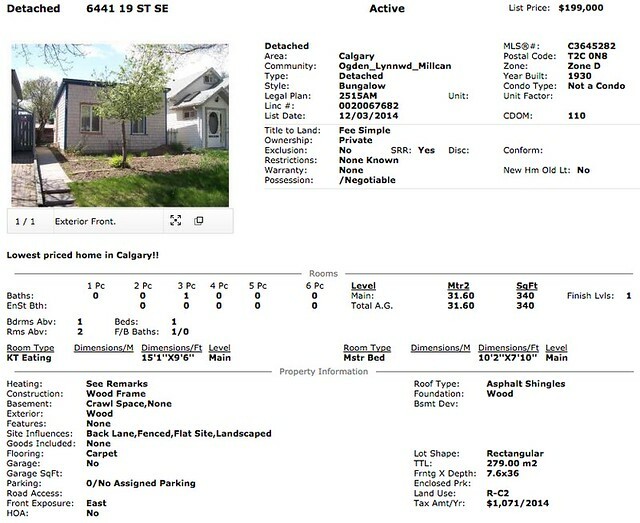 Lowest listed price detached house in Calgary in March 2015. 1930 house in Ogden, really small! Depression era house for a CPR employee perhaps?